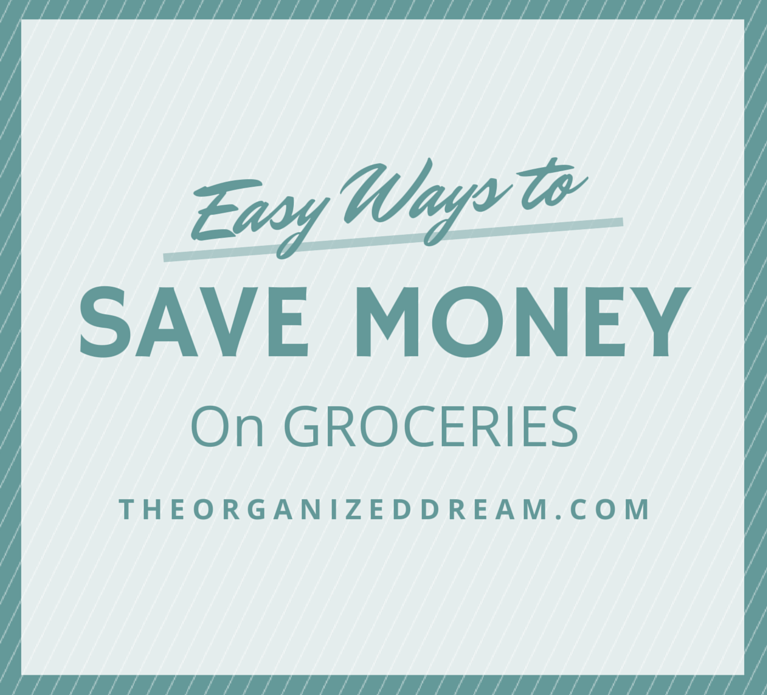 So, I'm sure you have read so many things on how to save money on your grocery bill. A lot of them have to do with couponing and all that good stuff. Not all of us have 4+ hours each week to clip and/or print coupons so this isn't some extreme money saving post, but I have saved between $100-$200 a month. (I went from spending $400 a month to roughly $200.) Go me, right?! Don't get me wrong, I would love to save even more and go crazy with the coupons, but I do not have the time. Of course, if there's anyone out there with some quick tips, I'm all ears! So, here's what I do to save a little bit of cash. Our family has taco night just about every week. If you're like us then you know how expensive those taco seasoning packets are. At my local grocery store, they can be priced up to $1.50 per tiny pouch. Here's how you can cut that cost way down. 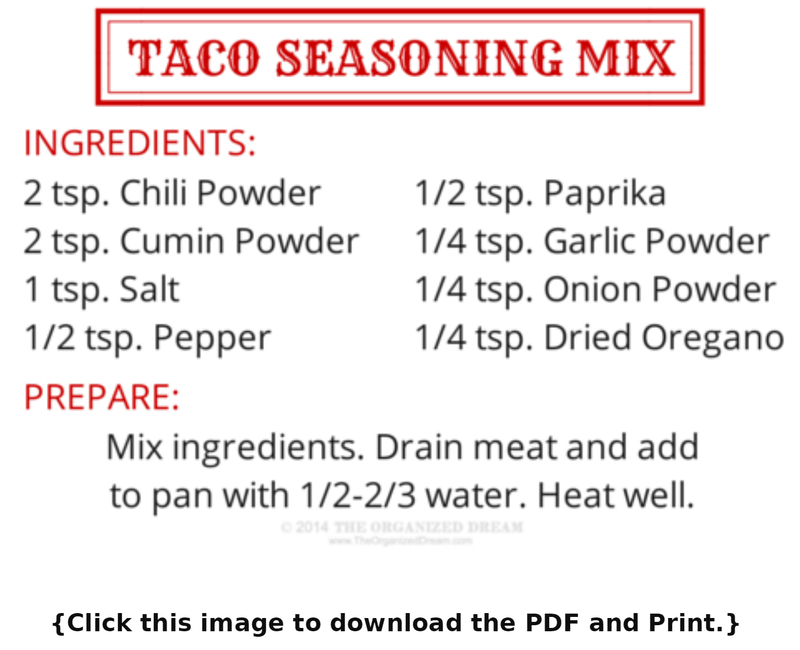 Find a taco seasoning mix recipe online that works for you. I have found one that tastes better than the store bought mixes. With the ingredients I purchased for this mix, I can make about 15 taco meals. :D Not a taco person? You can discover ways to make your own Italian and Ranch dressings and so much more. Google and Pinterest can be your best friend when it comes to this. Here's the taco mix I use. Do you love baking? It's that time of year where everyone loves to bake something. Whether it's muffins, quick breads, cookies, brownies, whatever. Baking those goodies from scratch may seem a little daunting, but, believe it or not, they taste 1,000 times better because you don't have all the artificial ingredients to go with them. Investing in the main ingredients to all of these is a one time thing. The amount of money you spend on one of those expensive brownie mixes, you can buy all if not most of the ingredients and make loads more. Need ideas? Think that you may not always have the time to mix each ingredient every time you want to make something? No problem. 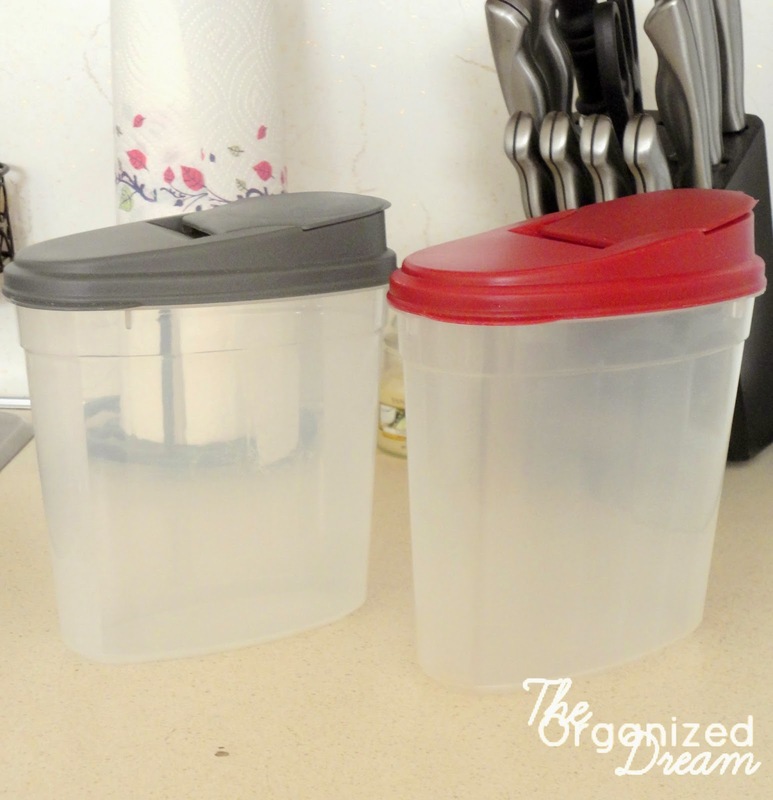 You can buy containers and store the dry ingredients for future use. This will cut the time down. Where you store food in your fridge is super important. Many people don't realize how much money we waste on food every week/month/year. Each part of your refrigerator is actually a different temperature. I swear by this. Ever since I organized my fridge into sections, not only do I have a better handle on knowing what I have, my food stays fresh for at least a week or two longer depending on the product. One of my older posts shows you exactly how I did it and where everything should go. 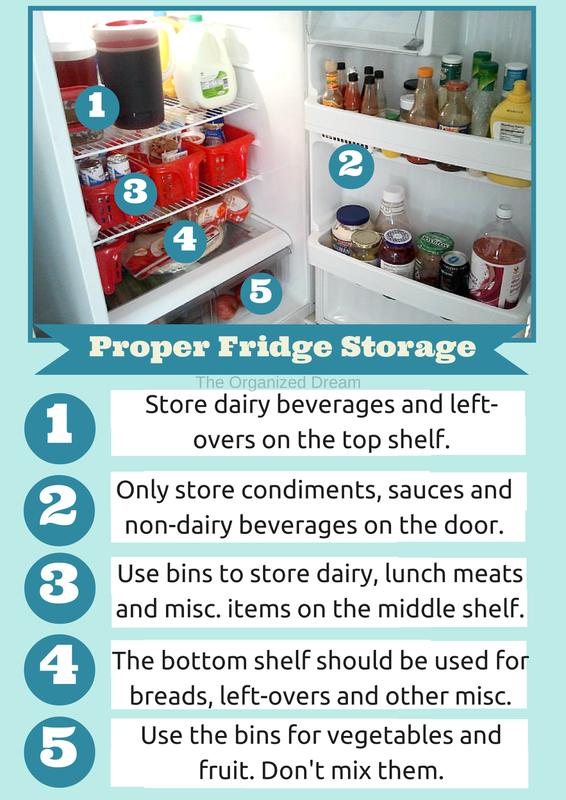 For more on how to completely organize your fridge, check out my Refrigerator Organization post. Check around to various food stores in your area. You'll be surprised at their prices compared to where you typically shop. I have recently rediscovered a love for Aldi and since it's a world-wide company, I know many of you probably know their good quality, inexpensive products. Not everyone feels the same way, but they are great for stockpiling when it comes to can goods, prepackaged items and even school snacks. A couple of weeks ago I bought a box of 32 fruit snacks for only $2.49! At my usual supermarket, I would have spent this much on a box of 10 and that's only if they were on sale. Do you have any other ways to save money on groceries? Favorite place to shop? I'd love to know! After all, we all love a great deal, right? 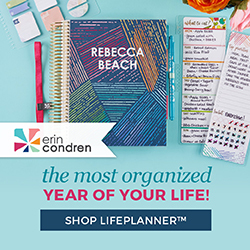 Our grocery bills are horrendous and I'm interested in any way I can to save $$ without spending a lot of extra time. I've started using the Ibotta and Checkout 51 apps for grocery rebates. They don't give back much, but they take only a couple minutes to claim rebates on whatever you already bought. Thanks for the other tips! I love the bins that the food is stored in on #3. Are these special bins or just ones you can buy anywhere. I know I end up wasting food because it gets lost in my fridge! 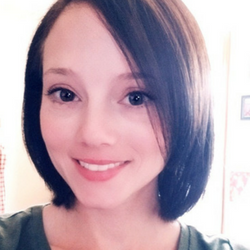 I have just started going through the $5 Dinner Mom cookbook and have found a lot of new recipes we have been trying and enjoying for a lot less. Hey, Stephanie! Those bins I actually bought at the Dollar Tree. I buy most of the bins I use there. I'm sure that you will be able to find them in other stores like Walmart, but a buck can't beat! Thanks for letting me know about the cookbook! This one sounds great! Can't beat the Dollar Tree! I'm going to start looking. Thank you! Great tips. We're always trying to find ways to lower our food bill. Jumping off your taco seasoning mix tip, there's lots of things I've learned to make myself that saves us lots of money on groceries: making our own yogurt, buttermilk. & kefir. I also bake nearly all our bread and make our granola. I've got a few favorite seasoning mixes too that I keep mixed up. If it can be made at home, it almost always saves money. These are great ideas. The only problem I have is that I live alone. If you buy tons of stuff, you end up eating the same thing for a week.